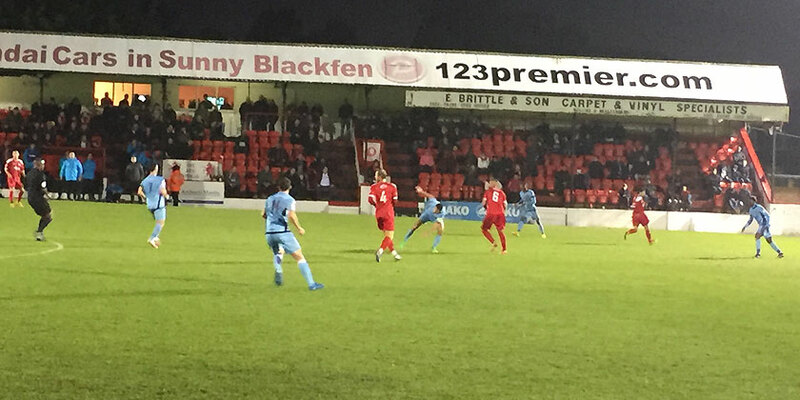 Fleet eased into the First Round of the Buildbase FA Trophy as a convincing first-half performance gave Harrow Borough a mountain to climb. Looking for a response after Tuesday night’s draw, Daryl McMahon made four changes, with Jonathan Miles, Louis John, Sam Deering and Charlie Sheringham coming in for Nathan Ashmore, the suspended Mark Phillips, Anthony Cook and Danny Kedwell. Boro named reserve goalkeeper Keval Patel and he was subject to a baptism of fire as Fleet took the lead after only two minutes. Sheringham won a free-kick and, in typical Jack Powell territory, the midfielder picked his spot and placed his set piece in the top corner, out of Patel’s reach. Fleet had plenty of room in midfield in which to switch play from side to side and Dean Rance, Deering and Powell were able to carry the ball, while Jack Connors had freedom to attack the left flank. Harrow were pinned back and Deering found Sheringham in space inside the box but his shot from eight yards was charged down. On seven minutes Powell delivered a low cross into the six-yard box that skipped over a defender’s foot and Connors attacked it on the line but Patel managed to gather it. Fleet should have been further ahead two minutes later. A long, raking pass from John found Sheringham whose lay-off played Deering clean through. Patel stood up well as Deering looked to place a shot around him and the goalkeeper got a hand to it to steer it away from goal. Sean Shields was next to test the full-backs and he beat Andy Lomas to a ball out wide, crossing for Deering who jumped for it in the six-yard box but the taller Patel was able to pluck it from the top of Deering’s head. Fleet eventually got the second their lively play deserved on 19 minutes. 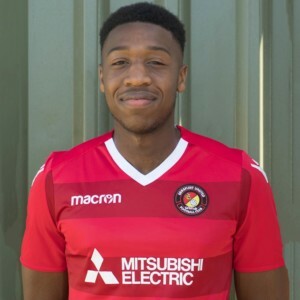 Powell’s ball from the right channel reached Bradley Bubb through a defender’s legs and the Fleet striker composed himself before tucking a shot between the goalkeeper and his near post from an angle, Bubb’s third goal in as many games. Three minutes later it was 3-0. A Powell corner to the far post was met by Sheringham who had peeled off from the defenders, knocking a downward header onto the line that bounced up into the roof of the net despite both Patel and Michael Peacock standing on duty. Harrow gradually stemmed the tide from that point and another goal wasn’t forthcoming for the Fleet. It wasn’t for the want of trying, however, as Rance saw a point-blank header parried by Patel while Sheringham had his head in his hands after planting Shields’ cross wide from close range, though the flag saved his blushes. With Miles largely a bystander for 44 minutes, he finally had some work to do shortly before half-time when Peacock’s glancing header brought a diving save from the Fleet goalkeeper. And he had to turn Ibrahim Meite’s effort behind for a corner as well moments later before the half-time whistle suspended Harrow’s torment. 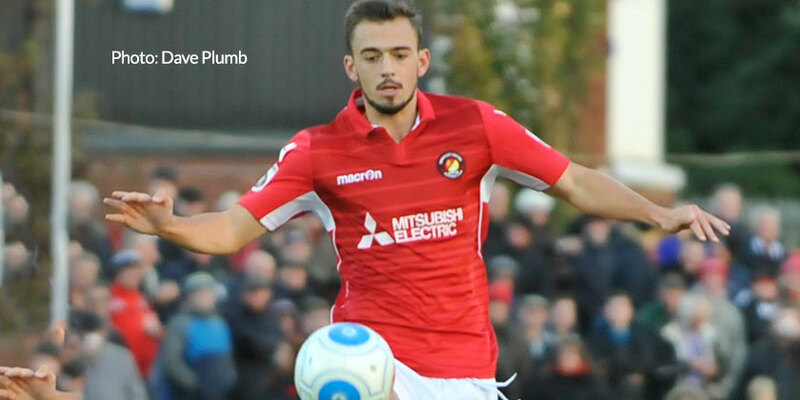 The visitors were much more resilient in the second half and clamped down on Fleet’s midfield freedom. Deering made some early ground with a solo run that ended with a shot on target but was saved by Patel. Harrow then enjoyed a spell of possession and within eight minutes they’d reduced Fleet’s lead. With defenders backing off, winger Joshua Webb – who McMahon had identified before the game as having a useful left foot – proved as much with a cracking shot that whipped past a stranded Miles. Harrow’s tails were up but it was a brief period and McMahon introduced Darren McQueen and Anthony Cook to re-energise his side. McQueen was straight into the action, sprinting clear of the back line but found his path blocked by Patel. Four minutes later, Deering was set free down the left and as he raced into the box, Shaun Preddie brushed him aside with sufficient force to convince the referee to award a penalty. Cook buried the penalty low to the goalkeeper’s right and the 4-1 lead snuffed out the remaining Harrow resistance. McQueen created plenty of problems for the visiting defence but more often than not was pulled back for offside by an over-eager assistant referee, particularly in the 80th minute when his run ended in a disallowed goal. 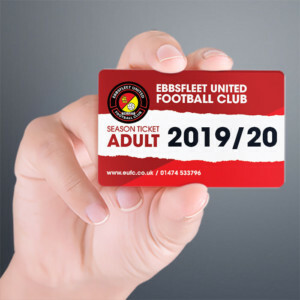 On two or three occasions, Fleet found themselves queuing up on the edge of the Harrow box but couldn’t find the breakthrough and instead it was the visitors who registered on the scoresheet once more on 81 minutes. Clark had just blocked a goalbound effort from big centre-forward Marc Charles-Smith before the same player nipped in to turn a shot past Miles for 4-2. 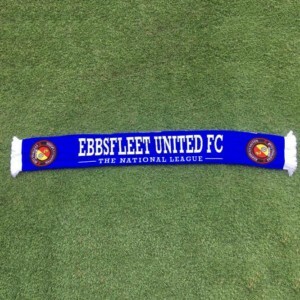 Sheringham saw an effort curl just past the post while at the other end Harrow almost capitalised on some slack passing in the Fleet box but the contest had long been decided by that point and Fleet are into Monday’s draw for Round One. 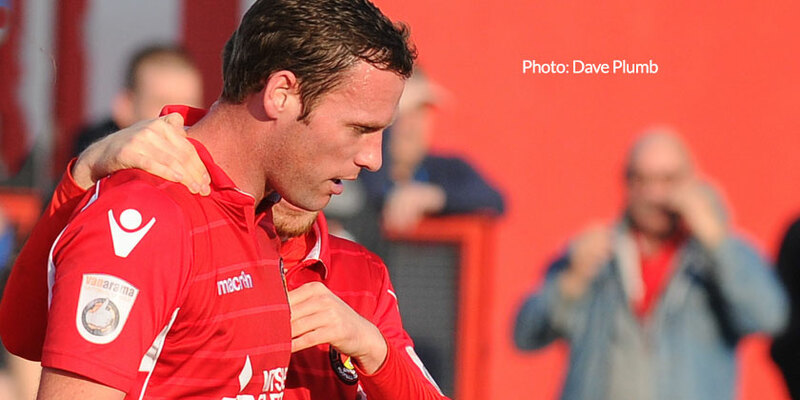 EUFC: Miles, Shields (Cook 61), Connors, John, McCoy, Clark, Rance, Deering, Sheringham, Bubb, (McQueen 61), Powell.